John CARROLL (PhD, Harvard University) is Professor of History and Associate Dean of the Faculty of Arts at the University of Hong Kong, where he teaches courses on Hong Kong history, British imperial history, and museums and history. Raised and educated in Hong Kong, Carroll has also taught at the University of Texas at Austin, the College of William and Mary, and Saint Louis University. He is the author of Edge of Empires: Chinese Elites and British Colonials in Hong Kong (Harvard University Press, 2005) and A Concise History of Hong Kong (Hong Kong University Press, 2007), and has published articles on Hong Kong history and society in Modern Asian Studies, Twentieth-Century China, Chinese Historical Review, and China Information. 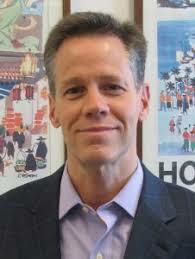 His research interests include the history of Hong Kong and encounters between China and the West. He is currently completing two books on the Canton trade period and has recently begun a new research project on tourism in Hong Kong from the late 1940s to 1997.